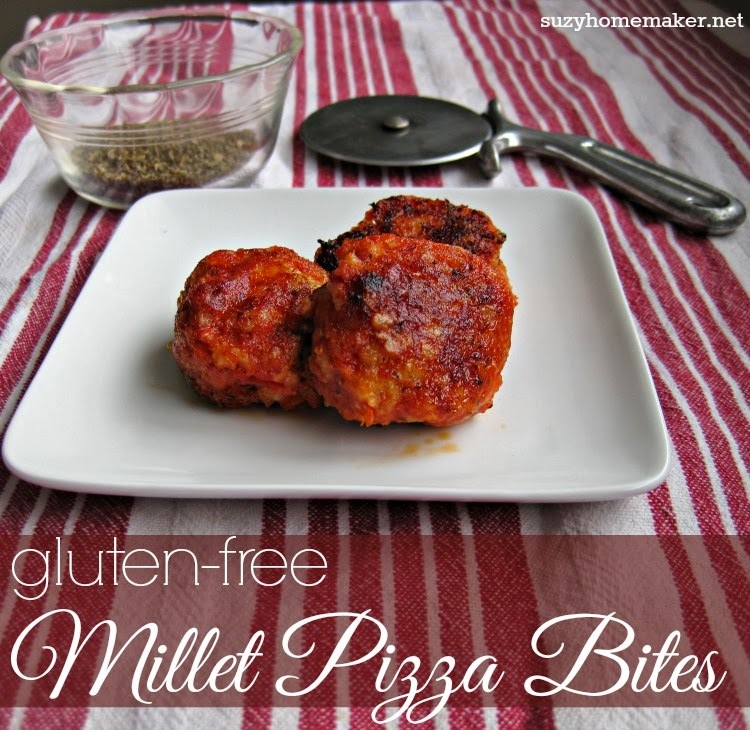 These millet pizza bites came about from the real food abc series. Millet was highlighted this week. You can read m for millet if you missed it. Being new to millet myself, I wanted to try it and not just write about it. I bought some hulled millet at the store and just cooked it in my rice cooker. It made it very easy. The plain millet tasted very similar to polenta, with that same creamy consistency. I was skeptical I would like it because I am not a fan of oatmeal or porridge, etc. But I actually liked both the flavor and texture of cooked millet. I decided to make a croquette-like millet bite with the flavors of pizza. I was again really surprised at how much I liked them. And since millet is gluten-free, these could be a nice snack for those with a sensitivity to gluten. Mix all ingredients in a medium bowl until well incorporated. Roll the millet mixture into ~ 1 inch balls and slightly flatten. Heat up a large frying pan on medium high heat. Add enough oil to cover the bottom and have a depth of between 1/8 and 1/4 inch. Place the millet balls in the pan and sear each side for ~ 2-3 minutes. Just until a nice crispy crust starts to form. Once seared, remove from oil and place on a paper towel.